Bust 31.5-32.5", Waist 23-24", Hips 33.5-34.5"
70s Unisex, Retro Hipster Clothing Patterns - Slightly fitted shirt with front and back yoke has front band with button closing. Pointed collar on band. Full length sleeves with buttoned cuffs. Topstitch trim. Purchased scarf. 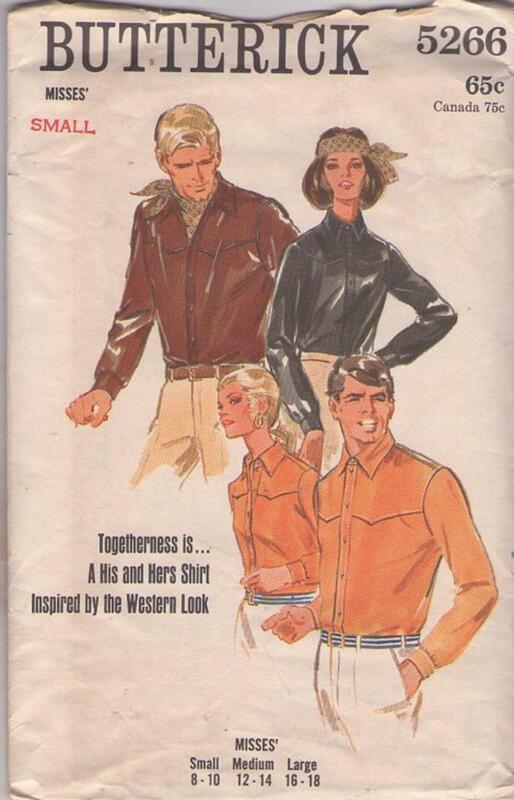 Cool rodeo clothes fashions!